Home | EBM Gone Wild | Femoral traction splints, helpful or not? Femoral traction splints, helpful or not? It’s been awhile since the FOAM twitter community got together and discussed the utility of femoral traction splints. Thus, forgive me for not remembering all the finer details of everyone’s points of view. The gist of that discussion was similar to many other twitter-based medical discussion. Many anecdotal accounts of benefits of an intervention (in this case, traction splints), vs the utter lack of data showing benefit. Knowing that absence of data does not equal absence of benefit, we all left likely doing the same thing we were doing before. And that discussion was mostly directed at commercial devices used in inter-facility transport or in-hospital use. 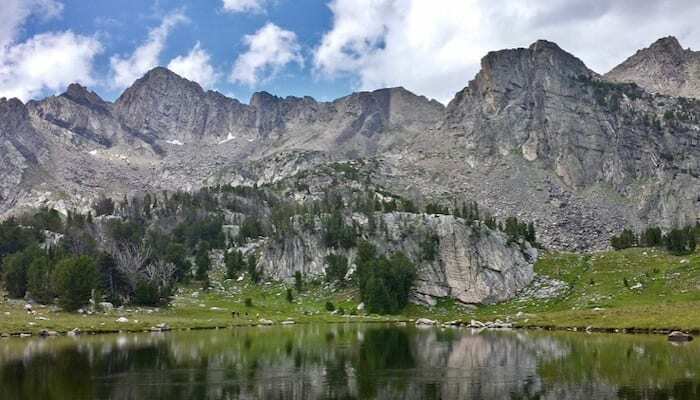 In wilderness medicine, the situation is even worse. Poor or completely nonexistent data, and even fewer premanufactured devices are available. 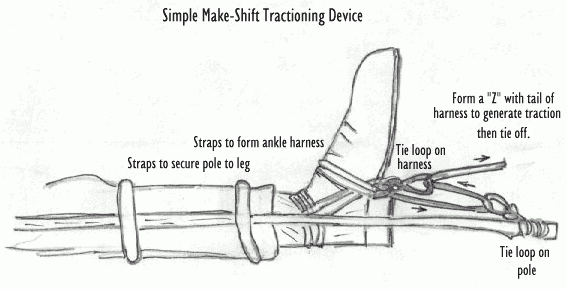 Therefore, many “traction” splints are make-shift devices that are macgyvered out of available materials. After all, make-shift devices are the essence of austere medicine. But do we need to be doing them at all, and more importantly, should we be teaching the next generation of wilderness medical professionals to do it ad infinitum? Let’s face it, the devices we concoct out of ski poles, webbing, carabiners, and the like, often aren’t very good at providing traction to begin with. They simply aren’t robust enough compared to commercial products. Not only that, but the usually involve some poor soul being left without a shirt, poles, a jacket, and maybe their backpack. If there’s real benefit to doing it, that’s a reasonable sacrifice. But if there isn’t, is it time to stop? This article investigated the use of femoral traction splints by Mountain Rescue England and Wales, as well as did a literature review to see if there is any definitive data for or against the use of traction splints. The authors also surveyed rescue teams to assess their use and opinions of traction splints. They found that suspected femur fractures were fairly uncommon in their cohort, occurring at a rate of less than 10 per year. This likely overestimates actual fractures by a decent margin as well. Of these, only 13% were treated with traction splints, 17% with non-traction splints, and a whopping 70%(!) without any splinting at all. This data flies in the face of what was reported by the responding rescuers. Fully 68% reported that they used a traction splint for every suspected femur fracture, and the other 32% said they selectively used them. Generally they felt the devices to be useful and not problematic in the survey as well. Then why aren’t they using them? 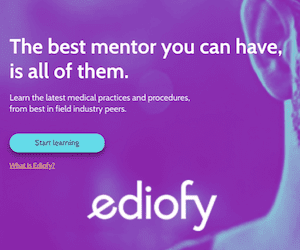 This isn’t answered by this survey, but I bet a few medical directors out there would like to know why their medics are saying one thing, and doing another. What did the literature say about traction splinting? Of the 141 they found using Boolean operators, only 5 were ultimately included in the review. The rest were historical, single case reports, too low level of evidence, or not pertaining to the issue at hand. And of those 5 (see references below), all were level of evidence 4. Shockingly, there aren’t a lot of double blinded RCTs on this topic. Of those articles, they also found that splints were often applied to patients with contraindications, are rarely used, take up space, and don’t have much evidence for their benefit. Specifically, the often theorized benefits of pain reduction, bleeding, and nerve injury are not shown in any recent literature. There is a book from 1919 (Gray, H. The Early Treatment of War Wounds. H Frowde, Hodder and Stoughton, London; 1919) that argues a reduction of death from 80% to 15% for femoral gunshot injuries, but this can’t be used realistically today as evidence.There is a teaser at the end of the article though. Susanne Spano at UCSF-Fresno presented a poster at SAEM with some good data that showed no statistical difference in mortality or complications of actual femur fractures treated with either traction splinting or no traction splinting. The main problem in prehospital or wilderness care is that the person with the femur fracture also needs extraction. Traction splints interfere with many litters, are by design only useable for 1 type of injury, and require a significant amount of highly specific training. In the end, I’m not saying that traction splinting isn’t without benefits. In the pre-hospital or austere setting, these benefits are much smaller and have a higher risk associated as well. And certainly I don’t advocate not immobilizing the limb, as this clearly has benefit. But creating a make-shift splint needs to stop being taught as the best or only way to treat femur injuries. And simple splinting should be used until we have clear data showing a benefit to traction splinting.